As one can see from the adjacent chart, MCX gold has given flag-chart pattern break-out on the one-hour chart. Oscillator (5-35) valued 345 with a bullish grip and false bar is at above 75 levels on stochastic both suggests bullishness on the counter. Firstly, yellow metal’s given triangle break-out and then flag pattern break-out (continuation pattern) both with huge volume strongly suggests bullishness on the commodity. On dips till Rs.26,500-Rs.26,400 one can buy for an upside target of Rs.26,800-Rs27,000. 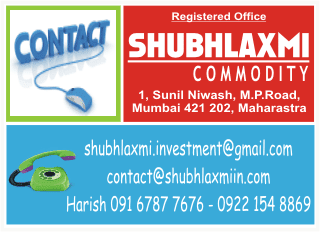 Trade below Rs.26,150 will negate a bullish view.